March 31, 2019: After a months-long series of auditions involving more than 1,000 singers at the district, regional, and national levels, a panel of expert judges named five singers as the winners of the 65th annual Metropolitan Opera National Council Auditions. One of the winners was Bass-baritone William Guanbo Su, who made his Carnegie Hall debut with The Cecilia Chorus of New York in Bach’s Christmas Oratorio and returned in December 2018 for Handel’s Messiah. Each winner receives a $15,000 cash prize. For more on William Guanbo Su, see his recent interview in our November 2018 newsletter. March 24, 2019: Bass-baritone William Guanbo Su, who made his Carnegie Hall debut with The Cecilia Chorus of New York in Bach’s Christmas Oratorio and returned in December 2018 for Handel’s Messiah, was named a 2019 Metropolitan Opera National Council Auditions finalist. The nine finalists will compete at the Grand Finals Concert on March 31 at 3:00 p.m. on the Metropolitan Opera stage. For more on William Guanbo Su, see his recent interview in our November 2018 newsletter. February 22, 2019: Tenor Charles Sy, who made his Carnegie Hall debut last season with The Cecilia Chorus of New York in Bach’s Christmas Oratorio, was announced as a winner of the 2019 George London Award. 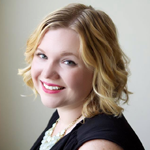 Mezzo-soprano Amanda Lynn Bottoms, who will sing The Balliett Brothers' Fifty Trillion Molecular Geniuses with The Cecilia Chorus of New York on May 2, 2019, has won a 2019 George London Encouragement Award. Read full article on OperaWire. February 2, 2019: Bass-baritone William Guanbo Su, who made his Carnegie Hall debut with The Cecilia Chorus of New York in Bach's Christmas Oratorio (December 2017) and joined us once again for Messiah last December, won the second place prize in the Houston Grand Opera's 2019 Concert of Arias competition. Read full article on BroadwayWorld. November 11, 2018: Bass-baritone William Guanbo Su and tenor Charles Sy were both named Region Finalists in the Metropolitan Opera National Council Eastern Region Auditions. In February, they will compete to be chosen as regional finalists. Both singers made their Carnegie Hall debuts with The Cecilia Chorus of New York in Bach’s Christmas Oratorio (December 2017). William will be joining us once again for Handel’s Messiah in December 2018 - learn more about the concert and see his recent interview in our November 2018 newsletter. September 13, 2018: Mezzo-soprano Naomi Louisa O’Connell, who will be singing Elgar’s The Music Makers with us in May 2019 (learn more), is featured on WQXR’s list of “40 Under 40: A New Generation of Superb Opera Singers.” Also featured on the list are Mezzo-soprano Rihab Chaieb and Bass-baritone Tobias Greenalgh, both of whom made their Carnegie Hall debuts with us — Rihab in Bach’s Magnificat (December 2016) and Tobias in Dame Ethel Smyth’s The Prison (May 2018). April 22, 2018: Soprano Danielle Beckvermit, who made her Carnegie Hall main stage debut with us in Mozart's Requiem on May 11, 2018, has been named a 2018 Metropolitan Opera National Council Finalist. April 4, 2018: Metropolitan Opera Alert! Three former soloists with The Cecilia Chorus New York, all of whom made their Carnegie Hall debut with us, have been announced on the roster for the 2018-2019 Metropolitan Opera season. Soprano Jennifer Rowley (Verdi Requiem, 2012) will be singing the title roles in both Tosca and Adrianna Lecouvreur, alternating with Sonda Radvanosky and Anna Netrebko. Bass Ryan Speedo Green (Messiah, 2013) will be singing the role of the King in Aida, and Mezzo Rihab Chaieb (Bach, 2016) will be singing Zerlina in Don Giovanni. Bravi, tutti! March 26, 2018: Two of our recent soloists, tenor Charles Sy and bass Cody Quattlebaum, are finalists for the inaugural Glyndebourne Opera Cup. Read articles about Charles Sy and Cody Quattlebaum from past newsletters. February 17, 2018: Mezzo-soprano Rihab Chaieb, who made her Carnegie Hall debut performing Bach’s Magnificat with The Cecilia Chorus of New York in December 2016, has won a top prize from the 2018 George London Awards. The George London Foundation Awards Competition is one of the oldest vocal competitions in the United States and Canada. For more on Rihab Chaieb, see her profile in our November 2016 newsletter. November 11, 2017: Rebecca Farley, our soprano soloist for our performances of Bach’s Christmas Oratorio (December 2017) and Bach's Magnificat (December 2016 - her Carnegie Hall debut), has advanced to the regional (Chicago) round of the Metropolitan Opera National Council Auditions. The program is designed to discover promising young opera singers and assist in the development of their careers. The Auditions take place in 42 districts and 12 regions throughout the United States and Canada. Starting with the Auditions of the Air in the 1930s and continuing today, the Auditions have been a defining step in the careers of many of North America's greatest opera stars. For more on Rebecca Farley, see her profile in our October 2017 and November 2016 newsletters. October 20, 2017: This fall brought two major accolades for young William Guanbo Su, the bass soloist for our performance of Bach’s Christmas Oratorio (December 2017), which marked his Carnegie Hall debut. First he won the Gerda Lissner Lieder/Song Vocal Competition, for singers between the ages of 20 and 30 (William has just turned 23). William studied German Lieder at the Franz Schubert Institute in Vienna during the summer of 2016. Then, later in the month, he was awarded an Opera Index Encouragement Award. Opera Index is a non-profit organization whose mission is to provide advocacy for opera and support for its artists, in the form of financial gifts and sponsored performances. For more on William Guanbo Su, see his profile in our October 2017 newsletter.